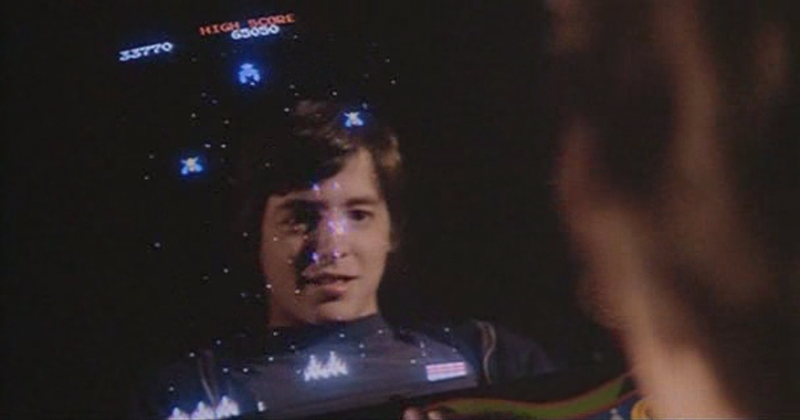 The WarGames movie tie-in version of the arcade game Galaga features Matthew Broderick’s face staring out at the player in an effort to cause distraction. This sci-fi(ish) thriller could very easily have not stood the test of time given how reliant it is on computer technologies that are supposed to seem futuristic. However, it still holds up, primarily because it’s really good fun, with a perfect tone and the right balance of humour and techno-thrills. Young Matthew Broderick (several years before he was Ferris Bueller) is a great asset, nailing the role of David Lightman, the bright high school student hacker who’s quickly in over his head but manages to pull MacGyver-esque stunts to get out of any fix and solve problems his seniors just don’t understand. Other members of the cast are also good, especially Dabney Coleman, who rarely disappoints. Also look for John Spencer (The West Wing) and Michael Madsen (Reservoir Dogs, Kill Bill) as the pair of missile launchers in the prologue. A few minor criticisms: despite being one of the first mainstream movies to feature a hacker as a protagonist (a step forward in the fight for equality for nerds and geeks! ), it nonetheless perpetuates stereotypes about computer nerds (Exhibit A: the scene featuring two of David’s nerdier hacker friends); David’s parents’ lack of concern about (or knowledge of) his activities, even once he’s been effectively taken into custody by government agents, is hard to believe; and there’s a bit where the love interest played by Ally Sheedy has a moment of stupidity that seems jarringly out of character, seriously asking David whether his detention by the authorities was “because of what you did with my grade?” despite already knowing that his hacking had caused a temporary military crisis. Just ignore these minor quibbles and enjoy the ride as I did. This entry was posted in 1983, 8, Reviews and tagged Ally Sheedy, Dabney Coleman, Ferris Bueller's Day Off, Film, Galaga, John Badham, John Spencer, Kill Bill, MacGyver, Matthew Broderick, Michael Madsen, Movie Reviews, Movies, Reservoir Dogs, Science Fiction, The West Wing, Thriller, Video Games in Movies, WarGames on May 20, 2014 by moviesandbacon.